Mary Ann Noren of Taylorville, passed away at 3:00 p.m. on Monday, May 7, 2018 at St. John’s Hospital in Springfield, IL. Mary Ann was born in Taylorville, IL, the daughter of Richard and Myrtle Mallonee Reish. She married James A. Noren on September 16, 1949 in Springfield, IL. Mary Ann worked for the Secretary of State’s office for many years, before becoming the proud owner of “Mary Ann’s Fashion House” in Taylorville. She was a long-time member of St. Mary’s Catholic Church and served as a past secretary of the Young Democrats. 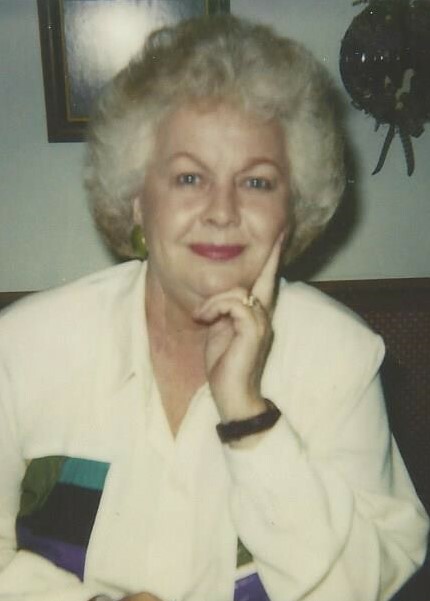 Mary Ann enjoyed traveling, playing cards, and was an avid golfer. Most of all, she enjoyed her grandchildren, and taking care of her family. She was preceded in death by her parents; son, Dane “Poncho” Miller; sisters, Katherine and Irene Reish; and brothers, Richard and Charlie Reish. Mary Ann is survived by her husband, Jim Noren of Taylorville, IL; sons, Richard J. (wife, Marcia) Noren of Seward, AK, and Kevin F. (wife, Nancy) Noren of Taylorville, IL; daughter, Diane (husband, Leland) Miller-McCravy of Atlanta, GA; grandchildren, Matthew Noren of Eagle River, AK, Timeri (husband, Joseph) Noren-Listina of Eagle River, AK, and Roni (husband, James) Day of Taylorville, IL; great grandchildren, Gabe, Luke, Alisa, and Brooke; great-great grandchildren, Lindsay, Beckett, and Kayden; and several nieces, nephews, and cousins. Visitation: The family will receive friends from 5:00 – 7:00 p.m. on Thursday, May 10, 2018 at Shafer-Perfetti & Assalley Funeral Home, 202 W. Franklin St., Taylorville, IL 62568. Funeral Ceremony: 10:00 a.m. on Friday, May 11, 2018 at Shafer-Perfetti & Assalley Funeral Home in Taylorville, with Rev. Msgr. David S. Lantz officiating. In lieu of flowers memorial contributions may be made to: St. Jude Children’s Research Hospital, 501 St. Jude Place, Memphis, TN 38105.